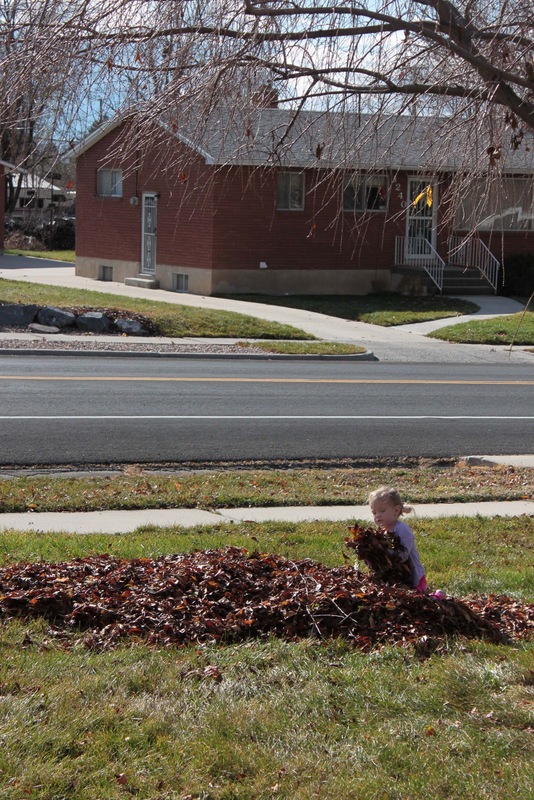 We finally got our leaves raked up in the front yard this past week. We took advantage of nap time and did it while Wesley was asleep. Liliane helped me rake and then proceeded to play in the piles. Jordan came around after and got the piles all picked up. For as little as the tree is in our front yard, we sure had a ton of leaves! The wind tends to share the neighborhood leaves with every lawn though, so I am sure that other people were raking up leaves from our yard like we were raking up theirs. 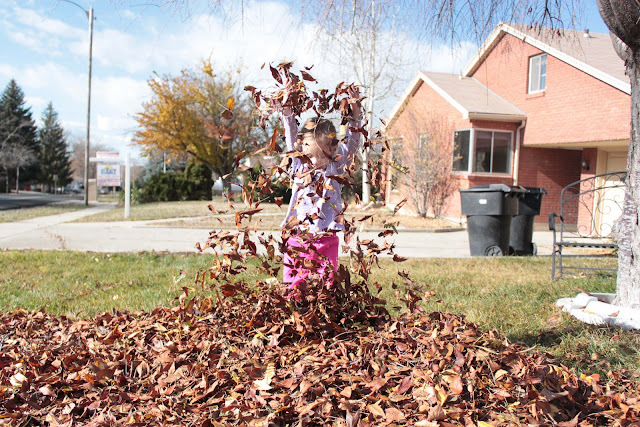 Liliane got good at grabbing a handful of leaves and putting them in the bucket. 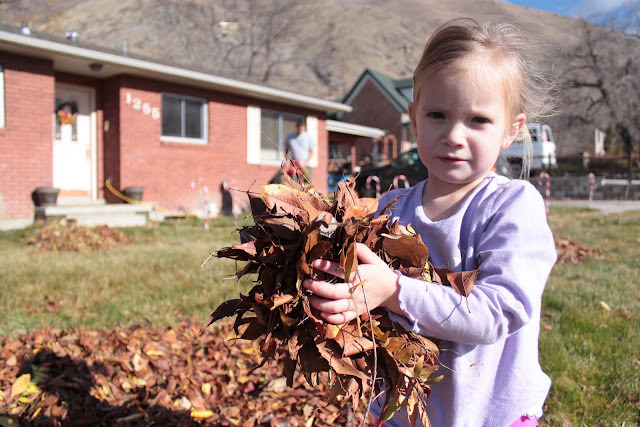 We took the leaves and put them in our compost pile in the back yard so we can use them in the spring. 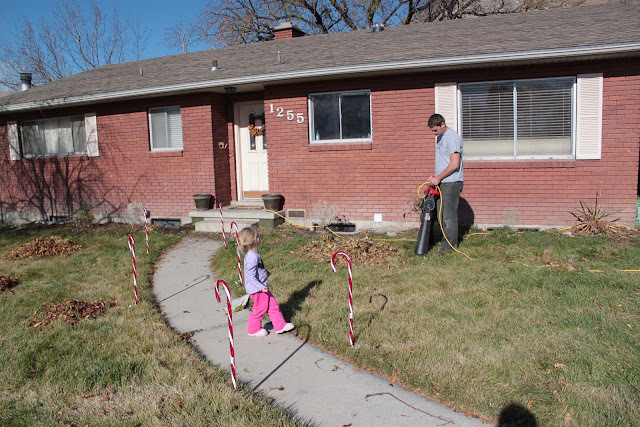 While I was busy raking up the leaves Jordan took the initiative to put out our holiday candy canes. The front of our house doesn't have enough going on for traditional Christmas lights (all we would have is a straight line...) so we decided we'd do something else to be festive and fun. I don't love raking leaves, but I love having them up off the lawn. So the blisters I got in return were worth it.